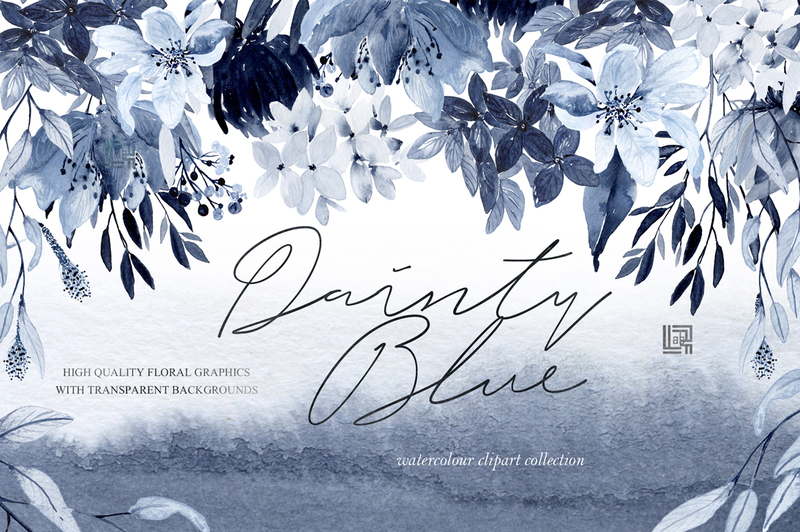 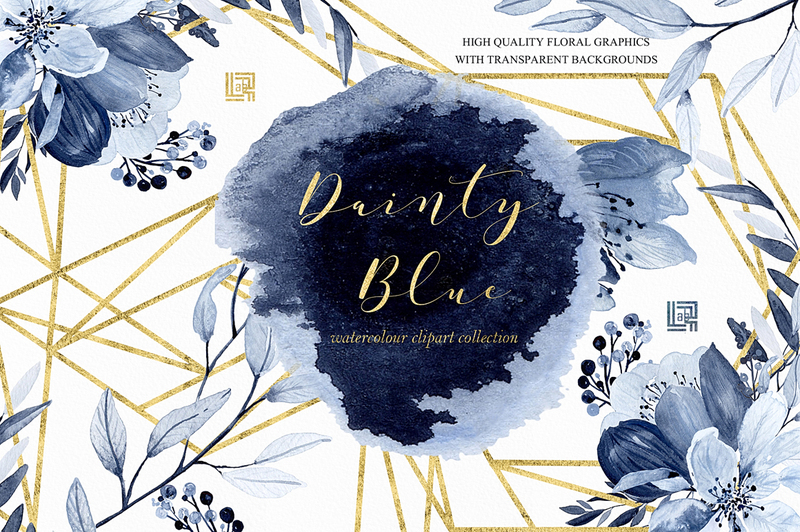 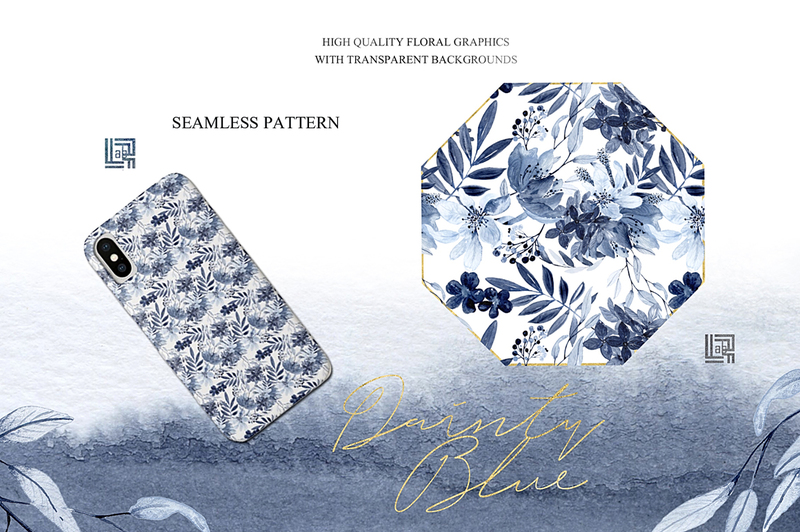 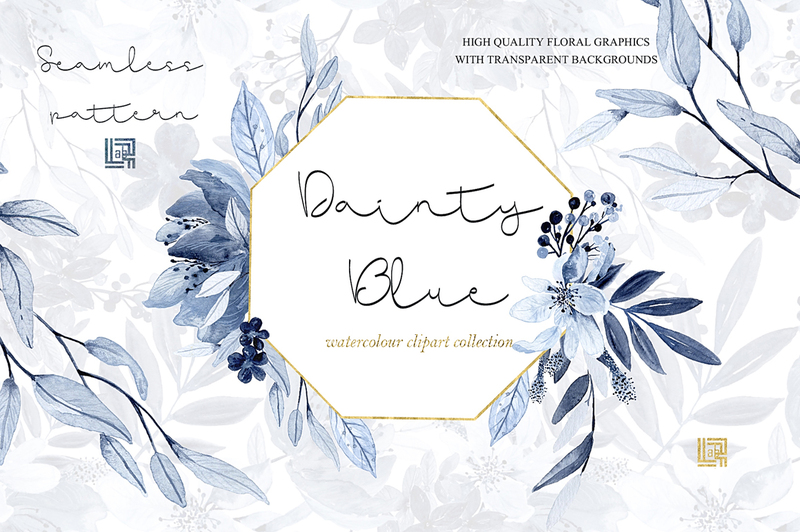 Introducing Dainty Blue Navy Blue Flowers. 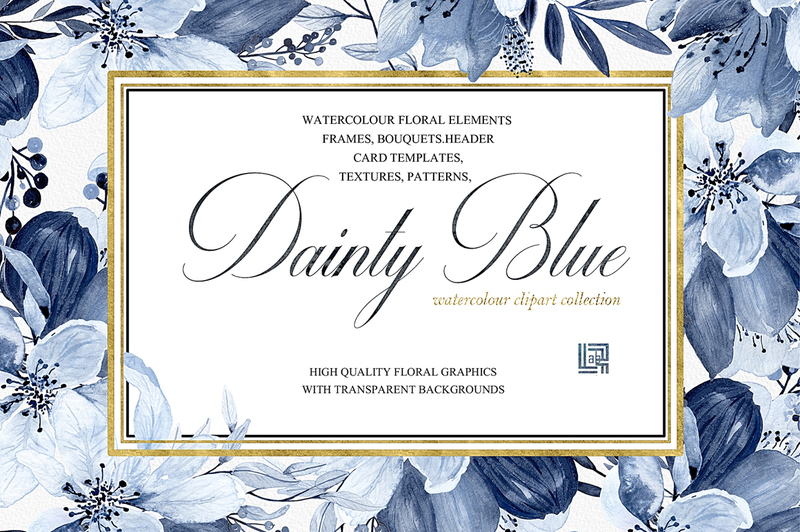 Dainty Blue Navy Blue Flowers, handcrafted designs with deep blue and pastel blue watercolour flowers and branches. 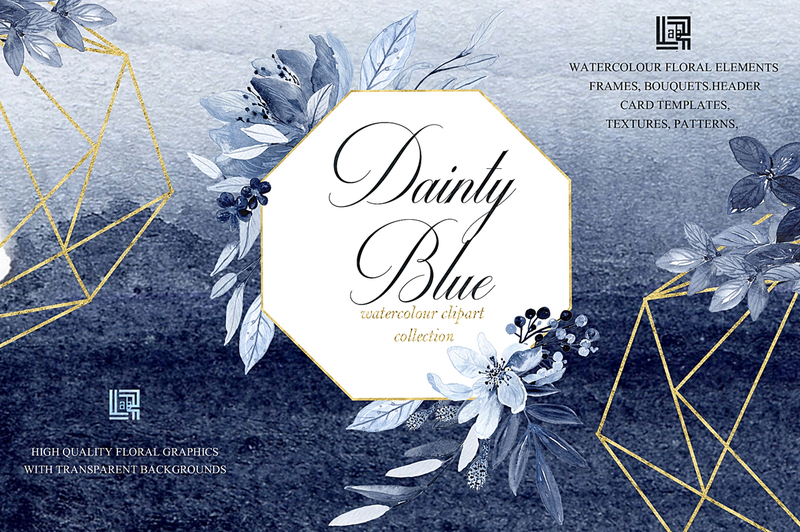 Including Frames, pattern, header, pre-made wedding invitations, bouquets. 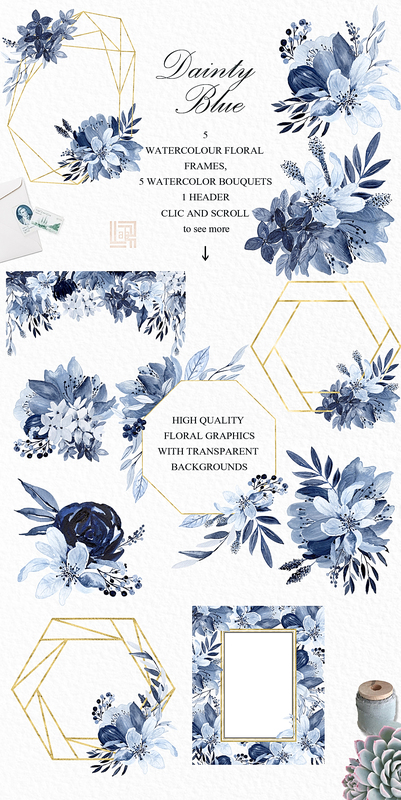 Ideal for invitations, wedding invitations, logo, scrapbooking, print and more. 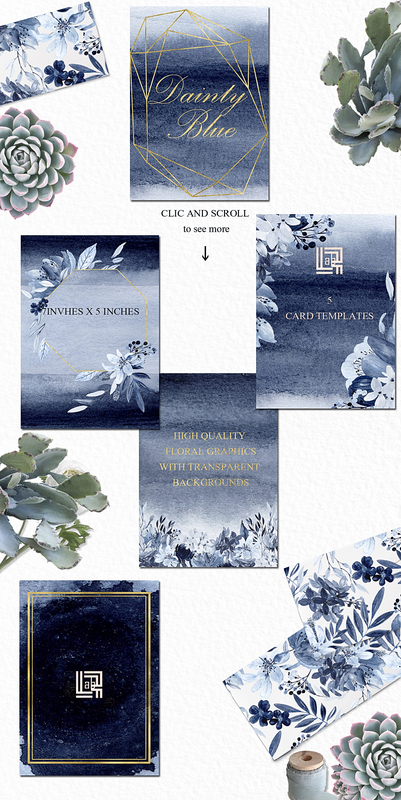 • 5 .JPG with beautiful card templates, size 7 x 5 inches. 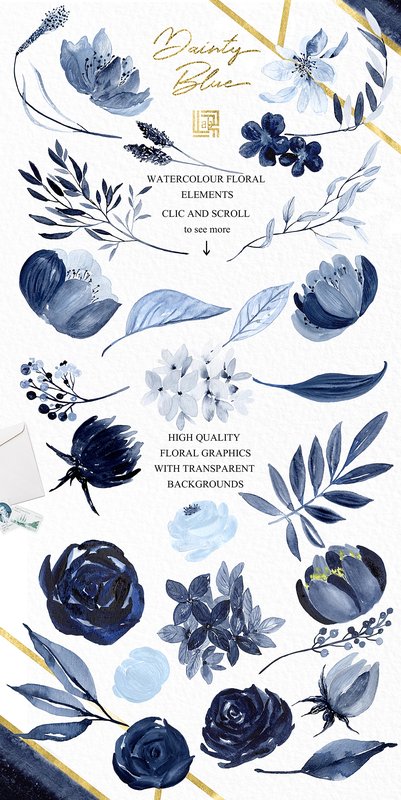 • 1 .PNG and 1 .JPG with romantic floral pattern with the size: 3600px 3600px. 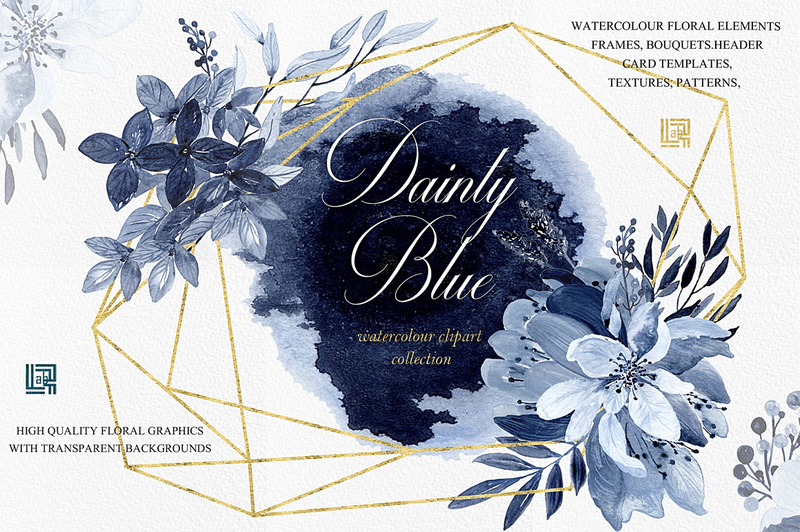 • All images are 300 ppi, coloured and ready to use. 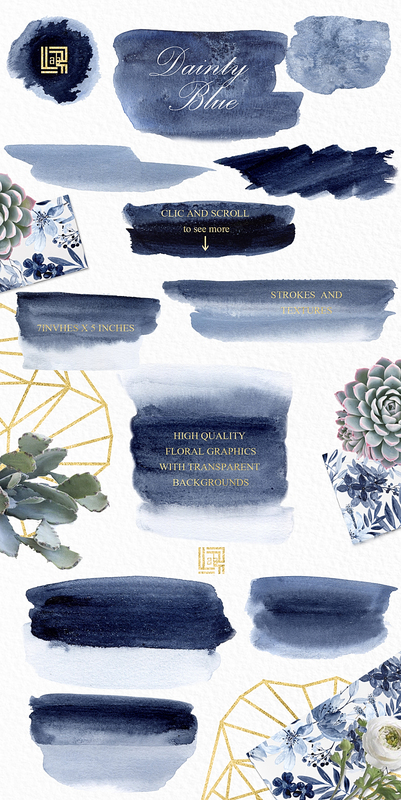 Watermark will not appear in your files.